Washington D.C., April 17: In show business, fame has its own side effects. 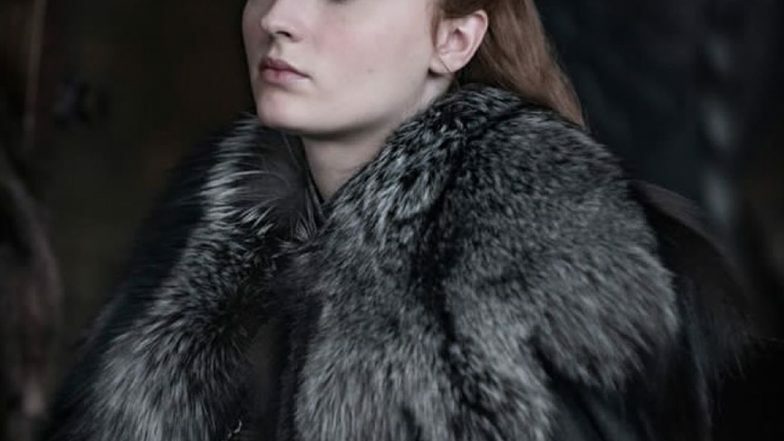 'Game of Thrones' actor Sophie Turner finally opened up about the impact that fame has had on her mental health. "I would just believe it. I would say, 'Yeah, I am spotty. I am fat. I am a bad actress.' I would just believe it. I would get (the costume department) to tighten my corset a lot. I just got very, very self-conscious," the actor said during an interview with Dr Philon in a podcast titled 'Phil in the Blanks'. Game Of Thrones Season 8: Jonas Brothers or Sophie Turner, Priyanka Chopra and Daniella Jonas' J Sisters - Who Look Better on the Iron Throne?. She revealed that these feeling eventually manifested into symptoms of depression, including the desire to isolate one's self and a lack of motivation. "I had no motivation to do anything or go out. Even with my best friends, I wouldn't want to see them, I wouldn't want to go out and eat with them. I just would cry and cry and cry over just getting changed and putting on clothes and be like, 'I can't do this. I can't go outside. I have nothing that I want to do," she said. Mentioning that she has been struggling with depression since five-six years now she said, "I've suffered from my depression for five or six years now. The biggest challenge for me is getting out of bed and getting out of the house. Learning to love yourself is the biggest challenge. "Turner specifies that while her struggles with mental health have been significant since she was about 17, she doesn't think she would ever hurt herself. "It's weird. I say I wasn't very depressed when I was younger, but I used to think about suicide a lot when I was younger. I don't know why though," the Game of Thrones star explains. Sophie Turner Reveals How The Game Of Thrones Stint Had A Negative Impact On Her Mental Health. "Maybe it's just a weird fascination I used to have, but yeah, I used to think about it. I don't think I ever would have gone through with it. I don't know," she said. The 'X-Men' actor is currently undergoing therapy and treatment and feels much better. "I'm on medication and I love myself now, or more than I used to, I think," she shared. The actor can be currently seen in the eighth and last season of 'GoT'. According to E! Online, Now that the filming of the uber-popular HBO show is over, Turner is taking a break from acting.